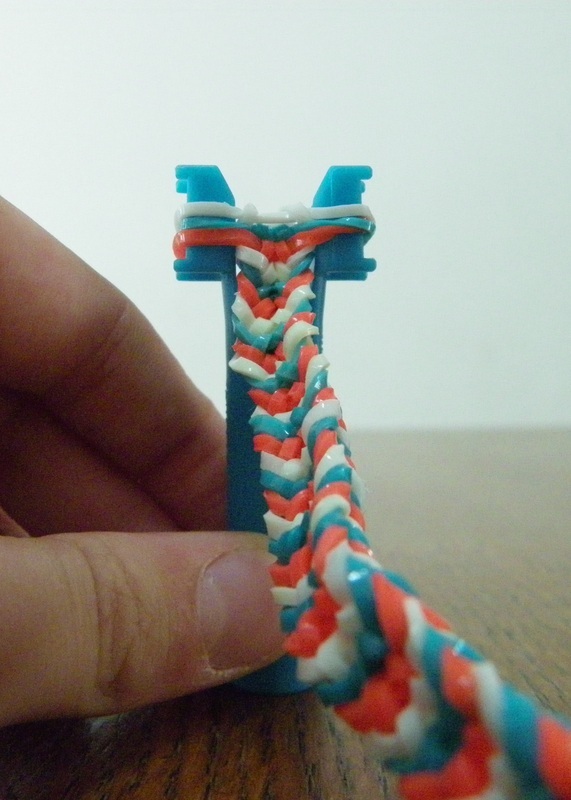 Note: Any key ring that can be done on the mini loom can also be done on two pegs of the full loom. 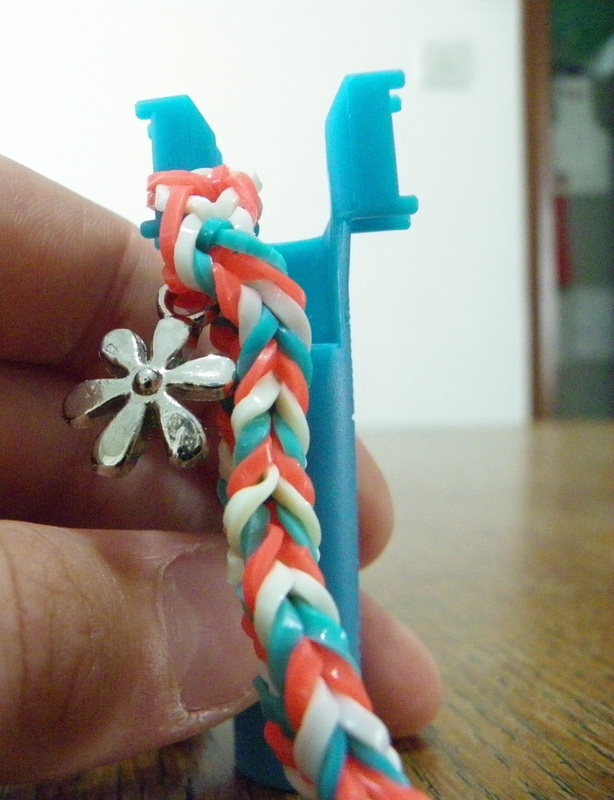 Using the mini loom begin any bracelet that can be done on the mini loom. (I have done an inverted fishtail, with four bands each time, instead of three.) 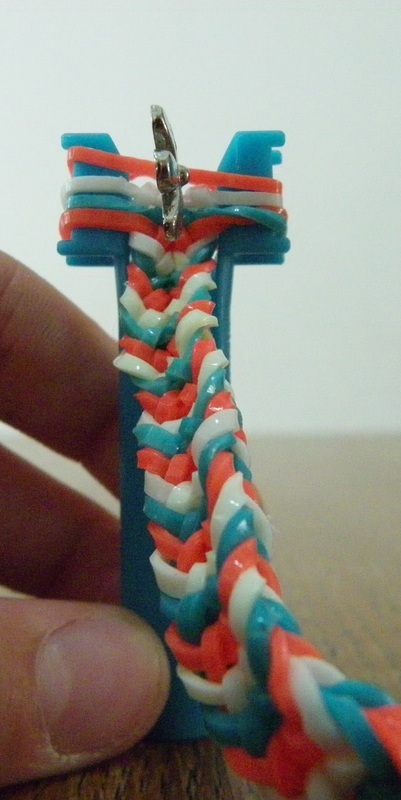 Make the bracelet as long as you want the key ring to be. 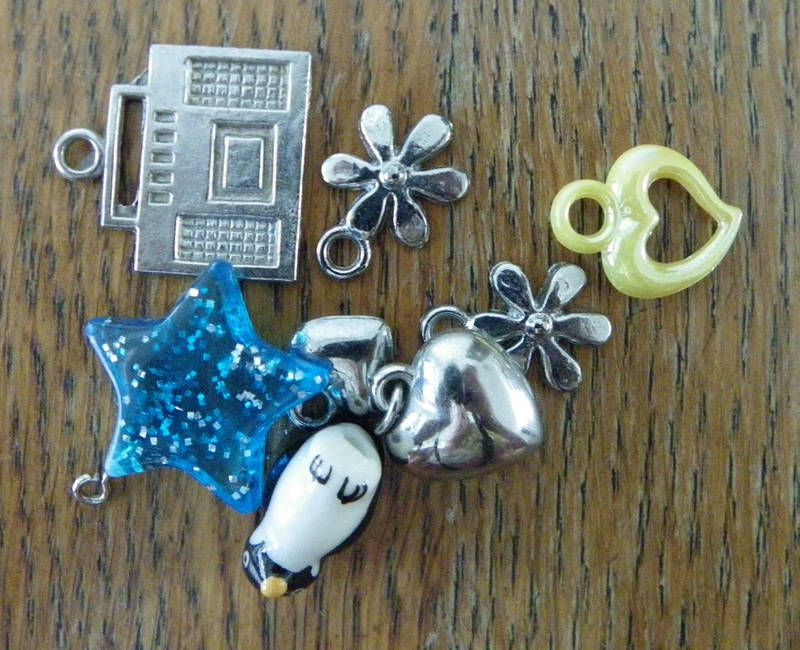 You will need a charms with a hole to thread the rubber band through. 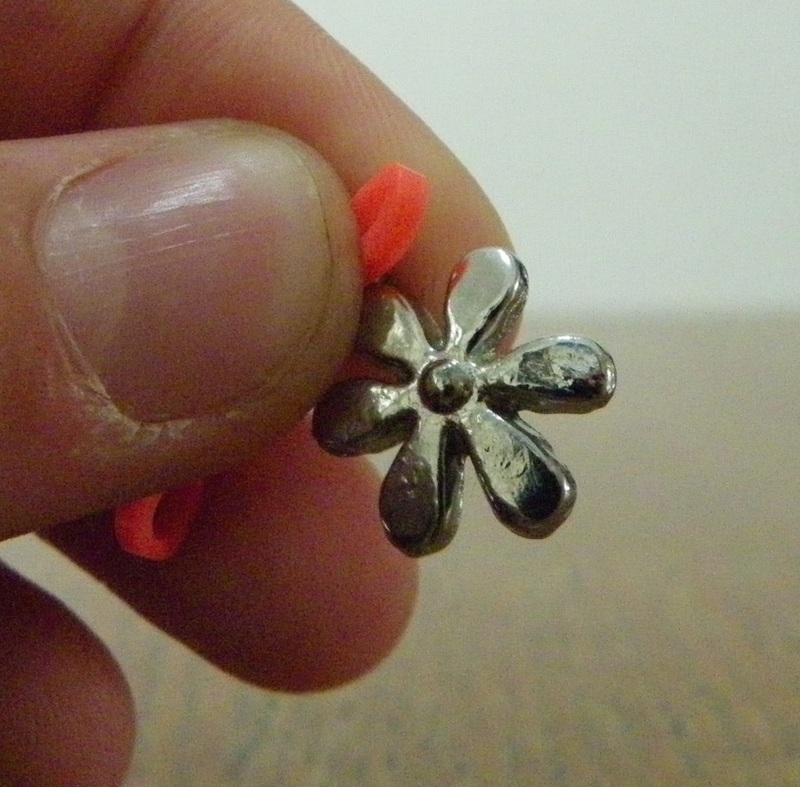 Choose a small charm and thread it onto your next rubber band. Place the rubber band on the loom just as if you were placing another normal rubber band. Loop all of your bands on the loom, leaving the top band unlooped. With your hook take one half of the band over to the other peg on the mini loom, so that there are two layers on one peg of your mini loom. Place your hook through both halves of the band on your mini loom, then place your next colour of band on the end of your hook. 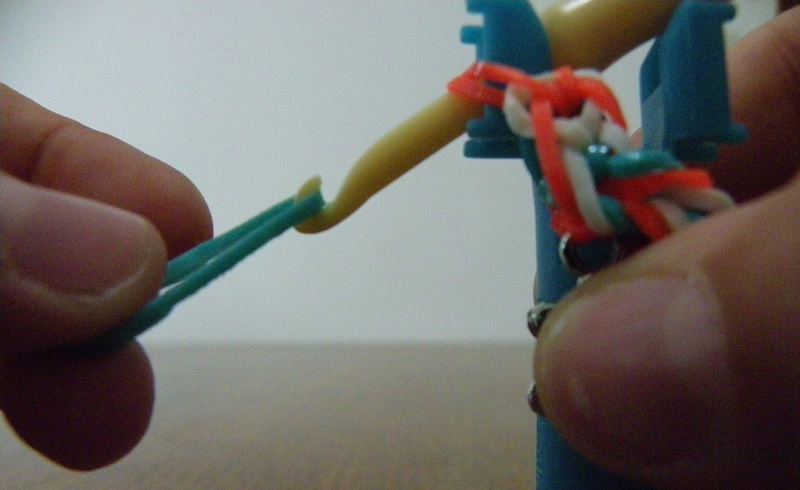 Pull the band on your hook through both halves of the band on your mini loom. 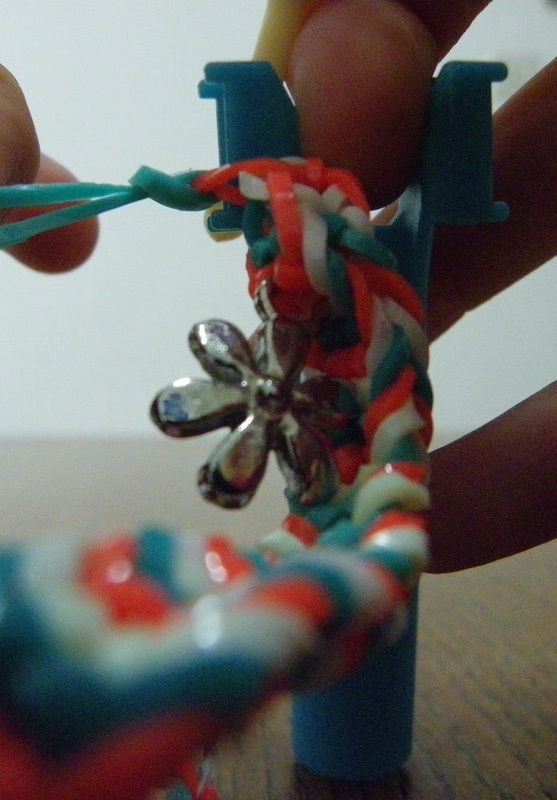 With your fingers grab the - in this case - teal band and pull it through itself to make a slip knot. 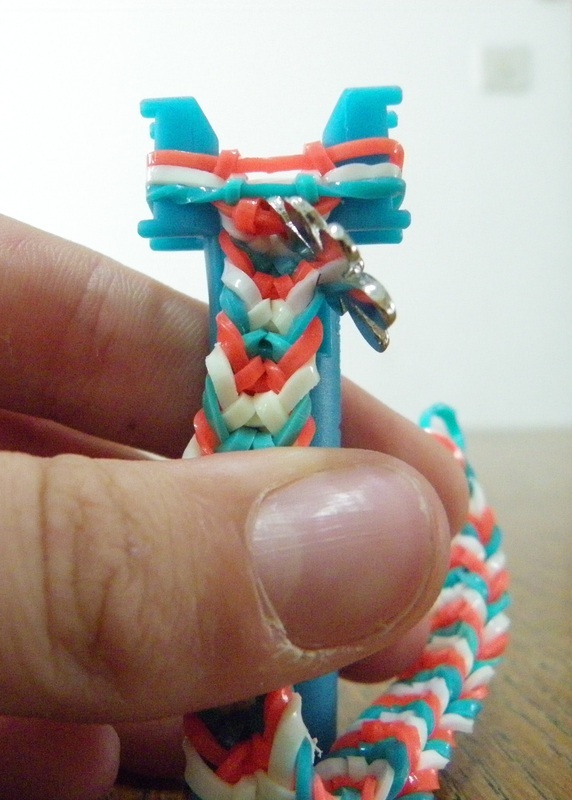 You have finished your key ring on the mini loom!